Japanese horror movies are a little different than Hollywood films. They exhibit the sheer worst side of humanity that an average movie-goer does not think upon on a normal level. They some way or the other are able to convince us the plausibility of a universe which twisted and horrific. From classic black and white ghostly tales to modern takes on digital and cultural curses, Japanese horror filmmakers add an imaginative and creative flair to their films that can be hard to find in Western horror film-making. If you are a true admirer of the horror film genre, you can’t help but watch more of the “J-Horror”. With that said let us look at the list of top Japanese horror movies ever. 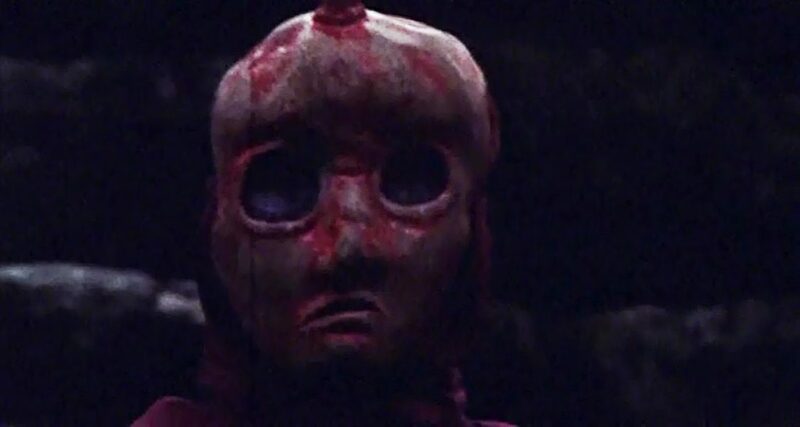 You might even be able to some of these scariest best Japanese horror movies on Netflix. ‘Ju-On: The Grudge’ is a pretty spooky J-Horror, but loses generally in other areas such as general filmmaking and storytelling. Takashi Shimizu crafts a chilling story of anger and revenge, with a gripping non-linear narrative and haunting sound design. The film is full of terrifying images, and quietly haunting moments that will rattle even the most jaded viewer. Shimizu clearly knows how to stage a scene for maximum effect, never relying on cheap gimmicks or jump-scares for results. It is a movie that demands your attention and is filled with memorable, breathtaking moments. ‘Pulse’ is a film that chooses computer technology and the existence of the afterlife, as its plot elements, and puts an unexpectedly thoughtful twist on each individual subject. It treats ghosts with care as much as it does computers. This is a slow burner that moves gradually slotting in the various pictures of the jigsaw as its final game plan becomes apparent. Saying too much would spoil the intriguing, dream-like narrative; suffice to say that this is a film that doesn’t disappoint at any stage during its progress and hence is a must watch. 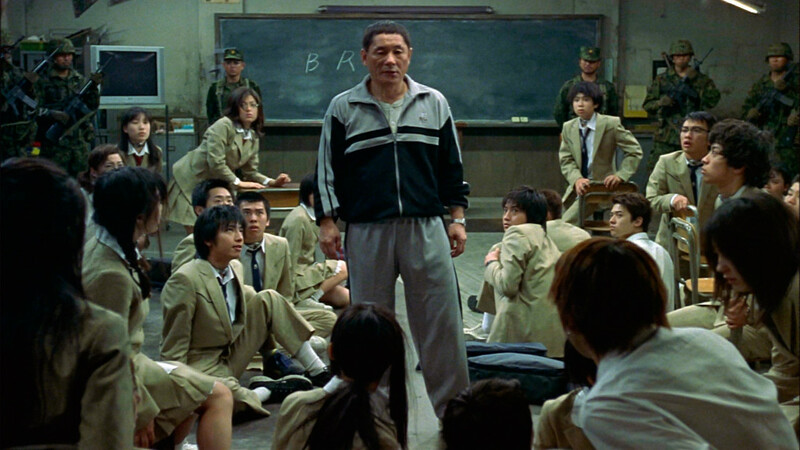 ‘Battle Royale’ was a movie conceptually far ahead of its time. What we get is a violent film, but full of emotion. It takes place in the near future where an authoritarian government has taken over and is trying to establish its hold over the nation by sacrificing its youths to bloody war games. It’s horrifying to watch young people give into blood rage when they are met with unrelenting circumstances and the only way to survive is to become a cold-blooded killer. This is a great film if you like bleak and brutal action films filled with gore and violence. It’s not for everyone because of that, but if you can stomach all the blood and guts, you’re in for a treat. ‘Dark Water’ isn’t necessarily scary, but it’s all unsettling and creepy. Mostly a drama about a woman in the midst of a divorce and fighting for custody of her child, the horror aspect is more or less in the background, contributing to the protagonist’s anxiety about her current situation. The scares are subtle and minimal, but they are nevertheless effective. 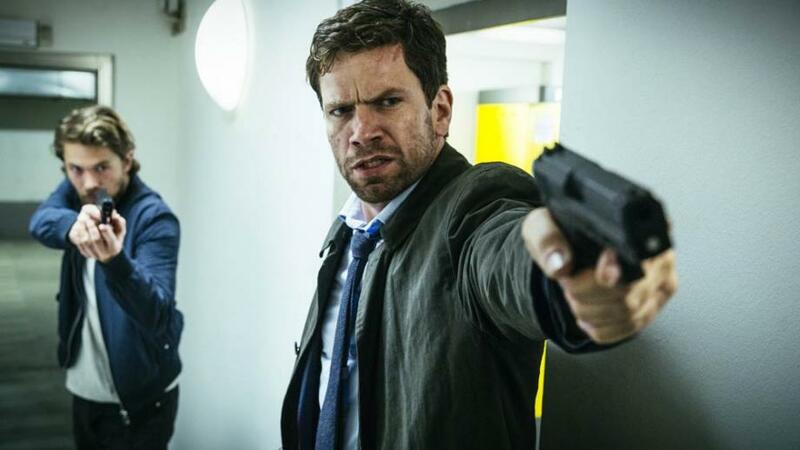 The direction is strong throughout with the camera preferring to turn to see what the characters see rather than having something leap into view or simply be cut to. The film uses music and sound very well. The film is a real good one that you might not want to miss. ‘Ringu’ is probably one of the most frightening movie experiences you will ever have. Adapted from the novel of the same name by Kôji Suzuki, the film follows television reporter and single mother Reiko who is caught up in a series of deaths surrounding a cursed video tape. Carefully used colors, shot composition, excellent sound and music, all add to the suspense and sense of impending doom. It creates an atmosphere of isolation, loneliness and the horror of modern life, which with all its comfort and amenities being not able to keep the existential threats away. Perhaps the most refreshing thing about this movie is that it’s got the guts to take itself seriously. This film narrates the story of a documentary filmmaker exploring seemingly unrelated paranormal incidents which are connected by the legend of an ancient demon called the “kagutaba.” What results is a relentlessly chilling experience that feels very real and disturbing. While the story might not be that original in itself, what really would hook you with ‘Noroi…’ is its incredibly eerie atmosphere. The documentary style narrative also helps its cause in a great way. Aside from its horror, the film’s story also explores some of the issues in Japanese society like its high suicide rate, illegal abortions and animal cruelty, this serious horror film is well worth watching for every horror fan. Revolving around the transformation of people into grotesque hybrids of flesh and metal, ‘Tetsuo…’ is above all an overwhelming audiovisual experience, set to a brain-pounding score by Chu Ishikawa and complemented by suitably exaggerated sound effects. ‘Tetsuo…’ altogether will feel timeless. No doubt aided by the grainy black and white photography that makes you forget that this film was released at the end of the 80s. However, it is so divorced from its time period which makes the film even more superior. It’s not about the explicit story; rather it’s about the symbolism. And in that realm, it succeeds. ‘Kuroneko’ is a masterpiece of early Japanese horror cinema and a testament to the power of Japan’s influence upon the genre. It is a beautiful and haunting ghost story done efficiently well. When a woman and young lady are raped and murdered by Samurai they come back as ghosts, vowing to avenge their deaths. The story takes an interesting turn when they meet a Samurai in the woods one night, who is quite familiar to them both. The sets in the film seem somewhat simple but the effect of the lighting, cinematography etc. makes this a very dreamy film indeed. Well worth a watch! To describe the levels of weirdness in this movie is nearly impossible. One could say it generally follows the typical haunted house storyline, a few young girls head out to the countryside to visit a decrepit old house with an old lonely caretaker. When it comes to similarities, that’s really it and the rest of it is so crazy and doesn’t conform to any standards of horror or just plain filmmaking for that matter that it never ceases to be entertaining. It allows for the film to be so unpredictable that it keeps the viewer constantly on their toes, both narratively and even with editing and other visual matters. ‘Audition’, no doubt is one of the greatest genre films of all time. Real horror is not about the actual confrontation between the hero and the monster, but about the anticipation leading to that encounter where we see an impending sense of wrongness, of something terrible lurking just around the corner that may have an equally horrible gift following. That’s what this movie uses very well. There are a number of subtexts that one can read into ‘Audition’. Many read the film as kind of a twisted feminist empowerment fantasy. The film is a bit slow to build, but wait for that horrific, mind-bending third act that takes it another level. ‘Kwaidan’ is an astonishing film, once seen never forgotten. Parts of it may seem slow to some viewers, as it consists layers of four stories, but nevertheless it is one of the most beautiful, haunting movies – a rare combination to come across – ever. The sets, costuming, and makeup are all incredibly theatrical and over the top. The colors are astounding and the backdrops in particular have no intention of realism. The camera, the light changes, the beautiful attention to detail, the almost avant-garde soundtrack everything with this is beautifully and harmoniously put together and the film altogether feels like a painting. This is a masterful film and a must see. With astounding black and white photography, ‘Onibaba’ explores the lives of mother and daughter-in-law through a haunting world thick with symbolism. The pacing is slow at times, but there are so many intense moments, strong authentic performances, and memorable macabre images to keep it compelling in an almost hypnotic, dream-like way. Hikaru Hayashi’s tremendous score, one of the best scores in horror films, adds considerably to the sense of dread. 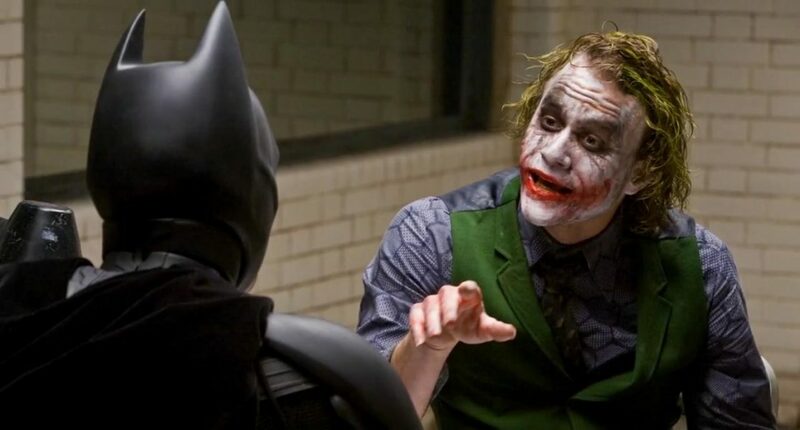 The movie does not follow a general storytelling convention of beginning, middle, and end; rather the movie’s internal logic allows it to progress from one vignette to another. 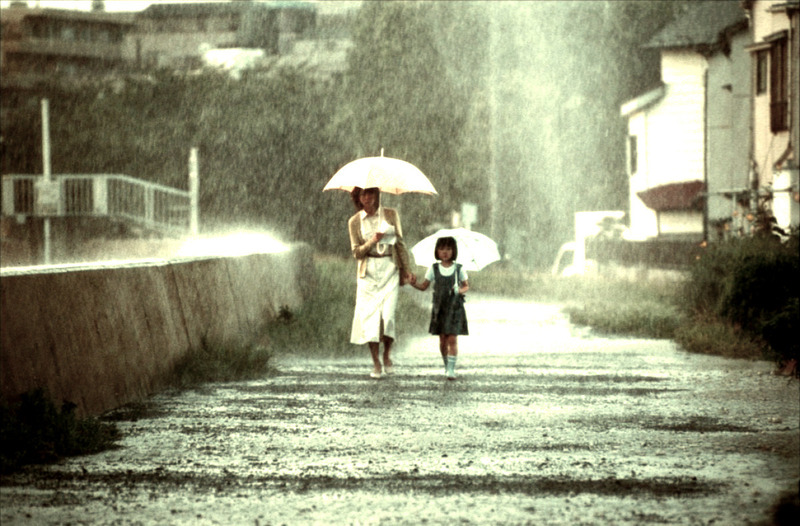 In short, ‘Onibaba’ is a true classic of both Japanese and World cinema.